Partners include people and institutions endorsing TCi and happy to partner in joint projects when the occasion arise. 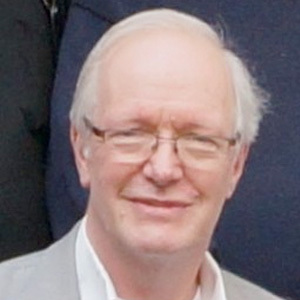 Cliff Hague is a freelance consultant, researcher, author and trainer. He is the Chair of the Cockburn Association. He is Professor Emeritus of Planning and Spatial Development at Heriot-Watt University in Edinburgh. He is a Past President of the Royal Town Planning Institute, and of the Commonwealth Association of Planners. He is a past Chair of Built Environment Forum Scotland. He was awarded the O.B.E. in the 2016 Birthday Honours. Forbes is an urban and regional planner working in many parts of the world, including Western Europe, Central and Eastern Europe, the Middle East, a number of African Countries and Indonesia, India and Vietnam in Asia. His focus has been on participative and integrated approaches linking strategic urban planning to wider issues of urban and regional management and policy. Prior to his current position as director of Forbes Davidson Planning he was with the Institute for Housing and Urban Development Studies, Erasmus University, Rotterdam, Netherlands and was responsible for the urban and regional development strategies specialization. 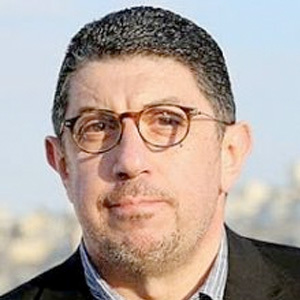 Nezar AlSayyad is Professor of Architecture, Planning, Urban Design and Urban History at the College of Environmental Design, University of California, Berkeley. He is Faculty Director of the Center for Arab Societies and Environments Studies. Educated as an architect, planner, urban designer, and urban historian, Nezar’s main focus has been the cross-cultural and comparative understanding of cities in their historical contexts. In 2008, the University of California, Berkeley, recognized his achievements with the Distinguished Teaching Award, the highest honor awarded a faculty member by the university. He also engages in professional practice through his firm, XXA. He is the author, co-author, editor, and co-editor of books in many fields, some of which have been translated to Arabic, Turkish, and Spanish. Among these are Dwellings, Settlements and Tradition (1989), Cities and Caliphs(1991), Forms and Dominance (1992), Consuming Tradition, Manufacturing Heritage (2001), Hybrid Urbanism (2001), Muslim Europe or Euro-Islam (2002), Urban Informality (2003), The End of Tradition (2004), Making Cairo Medieval (2005), Cinematic Urbanism (2006), The Fundamentalist City? (2010), and Cairo: Histories of a City (2011). Additionally, he has written, co-produced, and co-directed two NEA-funded public television documentaries, Virtual Cairo, and At Home with Mother Earth. His latest book, Traditions: The “Real,” the Hyper, and the Virtual in the Built Environment was published in 2014. Joris Scheers is a spatial planner and sociologist (PhD, MSc). He promoted on the theme of exponentially growing cities in Latin America at KULeuven university (Belgium), where he is currently visiting professor in spatial planning. 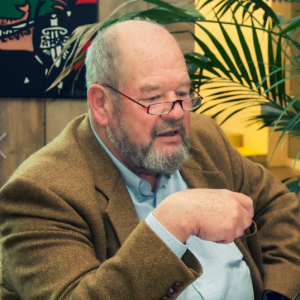 As the former deputy Government Architect and manager Creative and sustainable cities he is involved in various urban and spatial policy issues with the Flanders Government. He’s chairing the city of Leuven Spatial Planning Board since 2007 and has performed over the past decades in spatial policy projects in Latin-America, Africa and Asia. 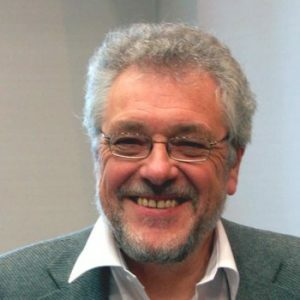 He has been nominated a UN-Habitat expert for the elaboration of International Guidelines on Urban and Territorial Planning and is currently secretary-general and past-president of the European Council of Spatial Planners (ECTP-CEU). “It is my great pleasure to join TCi. I am sure it is an appropriate platform to exchange ideas and enhance my experience and knowledge in various related topics including territorial development and planning”. 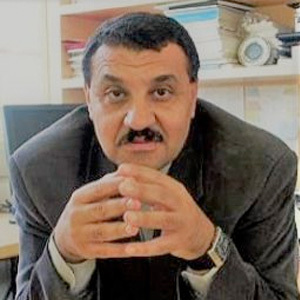 Ali Abdelhamid, an assistant professor in Urban Planning at An-Najah National University (NNU), and a member of the International Society of City & Regional Planners (ISOCARP) is a recognized authority in urban and regional planning and institutional arrangements in Palestine. He was the founder of both the master and undergraduate programs in urban planning at NNU, headed the Center for Urban & Regional Planning at NNU during (1998-2013) and the Dept. of Urban Planning during (2013-2017). more than 75 master theses in the different subjects of planning (e.g. strategic planning, land use planning, rural planning, regional planning, rehabilitation of refugee camps, local government development, urban governance, housing policies & strategies, provision and distribution of municipal services, and applications of GIS in urban planning, e-municipality). He attended and participated in numerous local and international workshops, conferences, and seminars. He published a number of books and papers in local and international journals. Dr. Abdelhamid has 28 years of experience and practice in urban planning, urban regeneration, spatial planning, city development strategies, strategic planning. He worked as consultant/ team leader / team member for a number of distinguished national & international projects and assignments (e.g. Intensive Training Program for Young Planning Professionals – Al Ain, United Arab Emirates, National Habitat III Report for Palestine, Urban Planning Manual (UPM) for West Bank & Gaza Strip, Master Plan of Ramadi City (Iraq), Master Plans and Strategic Development Plans for numerous cities and towns in the West Bank, Strategic Development Plans for 6 Palestinian Governorates, Regional Urban Sector Profile Study (RUSPS) in Palestine, Sectoral Strategy of the Palestinian Ministry of Public Works & Housing, Euromed-Unimed Heritage II project). Lumnije holds Master degree in Urban Management and Development by Erasmus University/Institute for Housing and Urban development Studies in Rotterdam and is graduated engineer in architecture from Prishtina University. She’s licensed for drafting Environmental Impact Assessment reports. Lumnije’s working experience of more than 15 years initially in private sector, Ministry of Environment and Spatial Planning, UN-Habitat and lately in civil society and as freelance consultant has ranged from architecture design, place making to the scale of strategic spatial/urban planning, research and policy making. During her work, she provided support to local and central level institutions in strategic municipal planning, legal framework and urban policy, assessment of the quality and implementation of planning instruments including capacity building for that. Lumnije is Trainer of Trainees for drafting Municipal Development Plans. She’s is founder and Executive Director of the Kosovo center for urban research PRO-Planning, a non–governmental and non-profit organization, established in 2015 with the purpose of promoting and advancing the spatial and urban development and housing in Kosovo. She’s Bureau Member of Kosovo National Delegation in ISOCARP-Interna­tional Society of City/Regional Planners. Author and co-author of numerous publications on Kosovo planning practices published by Ministry of Environment and Spatial planning, ISOCARP, UN-Habitat, USAID, etc. Rossana Poblet Alegre is a qualified Architect and Urban Planner. 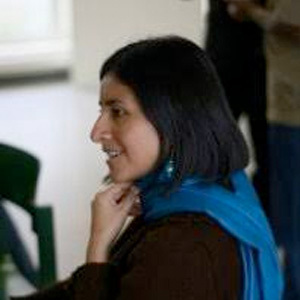 Rossana’s work consider cross-cutting aspects of people’s life like environment, resilience, housing, water and sanitation, energy, ecosystem services and basic infrastructure. Her approach consider participative processes and the exploration of answers from all stakeholders and specially people-centred solutions to look for different models of “development”. 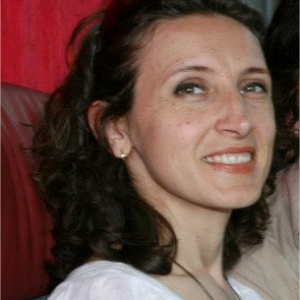 Rossana holds an international double Master degree from the Mundus Urbano (MU) interdisciplinary master programme, focusing on “International Cooperation and Urban Development” (TU Darmstadt) and “Sustainable Emergency Architecture” (UIC Barcelona). Previously she completed 2 years master studies in Urban Renewal at the Universidad Nacional de Ingeniería (UNI) and a 5 years bachelor degree in Architecture and Urban Planning at the Universidad Ricardo Palma (URP) in Lima, Peru. As espacio abierto RPA Planning & Design founder, she looks for creative collaboration with integrated different perspectives and initiatives to decolonize traditional development concepts. Han Verschure is professor emeritus with special assignments, at the K.U.Leuven, (Department of Architecture, Urbanism and Spatial Planning. His specialities are training and capacity building, policymaking, research, and development and follow-up of projects in the domains of habitat, sustainable urban and rural settlement development, urban renewal and heritage conservation, spatial and environmental planning, particularly but not exclusively, in developing countries, more specifically in North-, East- and Southern Africa, the Caribbean and Latin-America, South- and South-East Asia. Han Verschure was for many years programme director of the international course programme ‘Master in Human Settlements’ (1985-2007), and guest Professor at the Brussels University teaching “Environmental Planning and Policy”. He has initiated and guided many development cooperation programmes for the Belgian Development Cooperation and for international agencies. He co-directed with UNHABITAT the mid-career professional training programme “Housing in Development” as well as the major programme ‘Localising Agenda 21: Strategic Planning for Sustainable Development’ active in Kenya, Morocco, Vietnam, Cuba etc. He participated in all UNHABITAT Conferences since Vancouver 1976, Istanbul 1996, Quito 2016 and in almost all World Urban Fora. He was also expert advising in the preparation for HABITAT III in Quito October 2016. He was co-organiser or advisor in several EU projects among others MED-Campus, MED-Urbs, ASIA-Link, ASIA- Urbs, ALFA (Latin America). The last few years he was still active as strategic planning advisor among others in Haiti, Nepal, Kenya, Senegal, Vietnam, Tanzania, etc. Now still guest teaching in Europe as well as in several developing countries (in 2015-16 in Thailand, Laos, Cambodja, Pakistan, Nepal, in Senegal, Tanzania, Ecuador), and he is active as volunteer advisor to several development NGO’s. 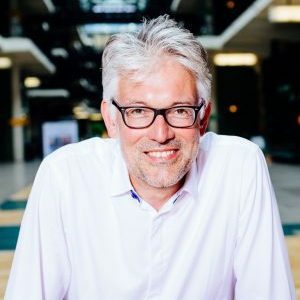 He is member of Leuven Klimaat Neutraal 2030, expert advisor to the Leuven Urban Planning Commission and member of the KULeuven Sustainability Council.